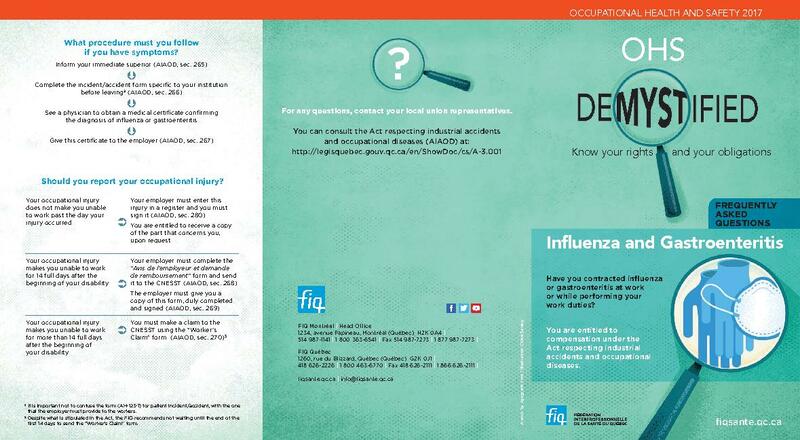 Have you caught influenza or gastroenteritis at work or while performing your work duties? You are entitled to compensation under the Act respecting industrial and occupational diseases. What procedure must you follow if you have symptoms? Is it mandatory to see a physician? Does your employer have to pay you if you have to leave work? Should you report your employment injury?